Parker Hearing Institute describes the services essential to healthy hearing in a recently published article. To raise awareness of the importance of caring for the one’s hearing health, Parker Hearing Institute has published an article titled What a Hearing Care Professional Can Do For You. 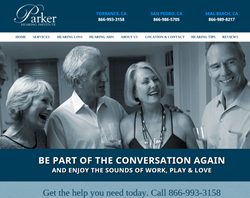 Parker Hearing Institute is a full-service audiology practice located in California, with locations in Torrance and San Pedro. The practice offers comprehensive hearing care services to help members of the local community hear better, live better, and reconnect with loved ones.